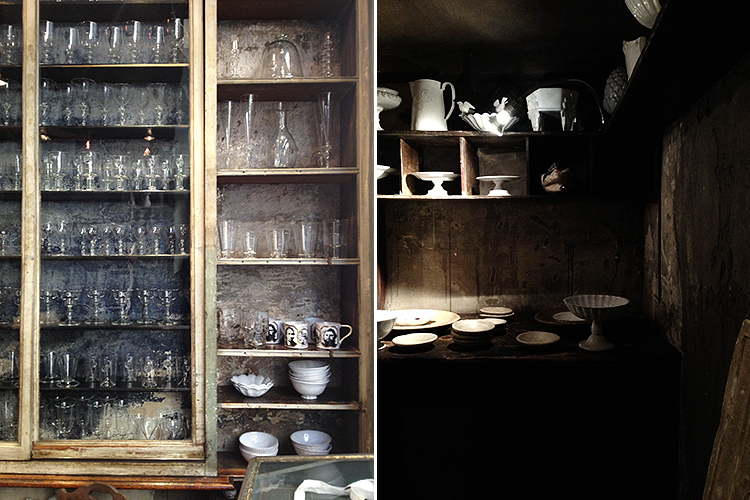 Just some iPhone photos from the beautiful Astier de Villatte boutique in Paris for today. Of course it is on the Rue Saint-Honoré, a street that J has dubbed "Rue de Nice Shops" (because it's an accurate description and because his French pronunciation ain't so hot ;). P.S. Lingered Upon has been nominated for Best Photography in the Saveur Food Blog awards! Voting ends tomorrow, but if you get a chance, I would be very flattered and grateful if you voted for me. Thank you! Wow, I love everything about this. 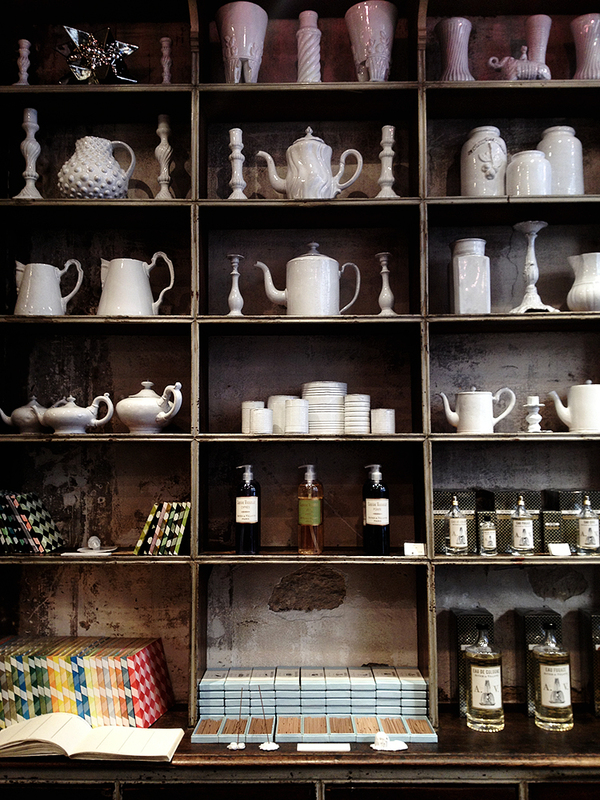 Porcelain against stressed wood/brick/plaster... perfect. congrats on the nomination, very well-deserved--voting for you now! Oh that is absolutely gorgeous! Congratulations on the nomination! I will vote for you right now! love it! and your blog is amazing! your images are exquisit, as usual! Gorgeous! And congrats on the nomination! I am seriously loving the skull glasses. And the fact that they are mixed with all the pretty, traditional stuff. The pottery is just so beautiful. The French truly know how to do it. Guh! 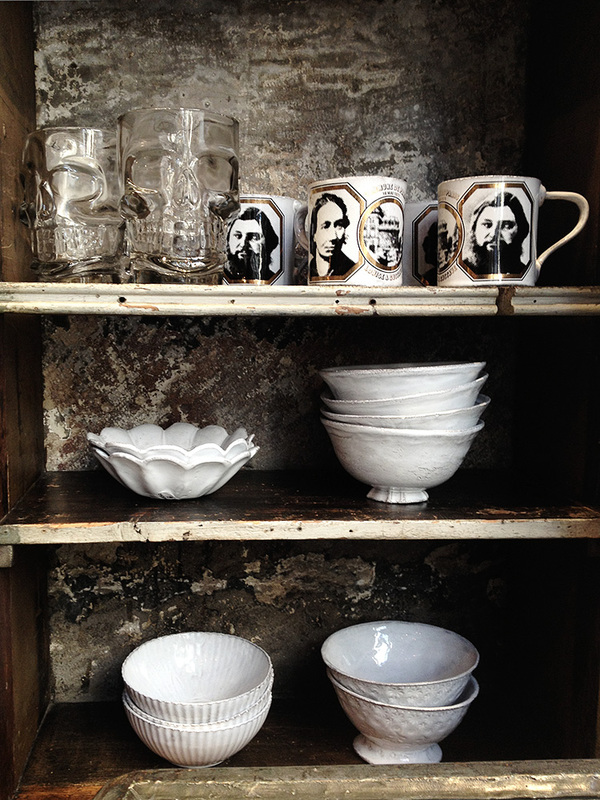 There is a boutique shop here in Portland that carries Astier de Villatte items and I've been coveting them big time. I just can't fathom spending 100 clams on a single mug. But it's really nice seeing all the pretties in their natural habitat! Hi, I am contacting you from AFAR Travel Magazine. I'd love to purchase the rights to use one of your images above-- could you please email me at Dani@afar.com as soon as possible? Thanks in advance, and I look forward to speaking with you. I will consider the social, economic and political factors of Astier De Villatte. Advancments in Astier De Villatte can be linked to many areas. While it has been acknowledged that it has an important part to play in the development of man, it is impossible to overestimate its impact on modern thought. Crossing many cultural barriers it still draws remarks such as 'I wouldn't touch it with a barge pole' and 'i'd rather eat wasps' from the upper echelons of progressive service sector organisations, many of whom blame the influence of television.